HANGZHOU, China / March 25, 2019 Dahua Technology, a world-leading video-centric smart IoT solution and service provider, has launched its AI NVR4000-I Series, including DHI-NVR4208-8P-I, DHI-NVR4216-16P-I, DHI-NVR4216-I, DHI-NVR4416-16P-I, DHI-NVR4432-I and DHI-NVR4832-I. Distinguished from mainstream NVR products with single AI function in the market, the Dahua AI NVR Series integrates perimeter protection and face recognition, providing customers cost-effective AI transformation and upgrading with high-precision safety guarantee while saving labor cost. With the outstanding perimeter protection function, the Dahua NVR4000-I Series can significantly reduce false alarm and bring higher accuracy performance to end-users. The ability of the new NVRs to filter out false alarms caused by animals, rustling leaves, bright lights, etc. enables secondary recognition of the targets, thus improving alarm accuracy. Besides, the NVR4000-I series is capable of analyzing targets based on deep learning algorithm to differentiate people and vehicles, therefore making retrieval more efficient. The AI-powered face recognition technology behind these products enjoys a high reputation in the industry, winning several first prizes in international competitions. Being acknowledged on performance for both efficiency and accuracy, Dahua Face Recognition offers real-time facial analysis by identifying, capturing and recording faces with powerful metadata. Combined with configurable multiple face database, common and stranger mode could alarm for suspects on blacklist, allowing passing for authorized people on whitelist, also alert for approaching of strangers. Powerful metadata is well-constituted with feature attribute information extracted from target faces, such as gender, age, glasses, masks, beard and expressions, making it possible for users to select the appropriate channel, feature and similarity to search for eligible targets. Otherwise, users can also upload the face pictures of targets to NVR and compare them with the face database in NVR, so as to retrieve the relevant video captured by camera and find out the targets. Quick and handy search for a person of interest can be achieved through multi-channels and which significantly enhances accuracy and efficiency. In addition to the above features, the NVR4000-I Series combined with Dahua cameras will bloom more powerful functions. For instance, working with Dahua ITC camera enables ANPR (Automatic Number Plate Recognition) for convenient entrance/exit management. Besides, people counting and heat-map are also available when matching Dahua IP camera. Furthermore, the NVR4000-I Series also supports ePoE & EoC to meet various needs of customers. 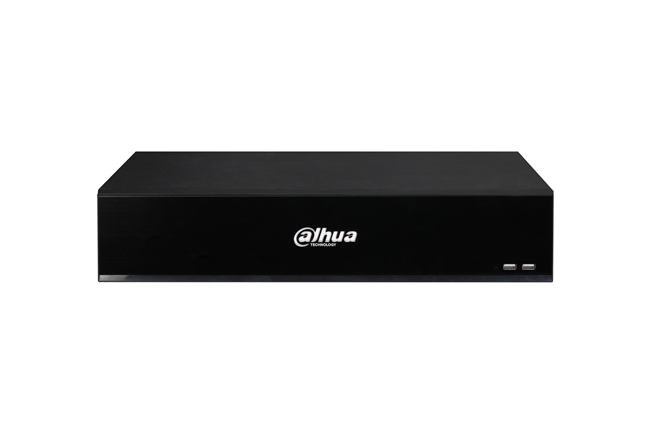 Incorporating superior perimeter protection, advanced face recognition and reliable AI search, the Dahua NVR4000-I Series delivers excellent performance and high recording quality for IP video surveillance applications such as companies, retail stores, borders, villas, museums, dangerous areas and other small- and medium-sized scenes. With a mission of “Enabling a Safer Society and Smarter Living”, Dahua will continue to focus on “Innovation, Quality, and Service”, to serve partners and customers around the world.